HS Codex Issue 3 Available Now! The staff of the Heroscape Codex is proud to announce the release of thethird issue of the fan-created magazine. 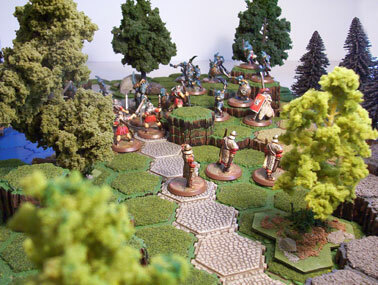 The Codex is devoted to fans of Heroscape, and includes a wide range of game advice, new scenarios, custom units, and much more. The Codex is created entirely by fans of the game, and made available free through the Codex website.